(VEN) - Import tax on the auto segment of nine seats and less for ASEAN members was reduced from 40 to 30 percent starting January 1, 2017, heralding a significant increase in the volume of imported cars in the Vietnamese market. According to the General Statistics Office, some 115,000 vehicles were imported in 2016 at a total import value of more than US$2.32 billion. In December alone, an estimated 16,000 vehicles were imported at a total import value of US$227 million. Cars imported from Thailand and Indonesia accounted for two-thirds of the total. Car imports are forecast to significantly increase in 2017 following a 10-percent drop in import taxes – from 40 to 30 percent - for the auto segment of nine seats and less starting January 1, 2017 for ASEAN members. The first two week of the year saw a strong increase in imported cars. 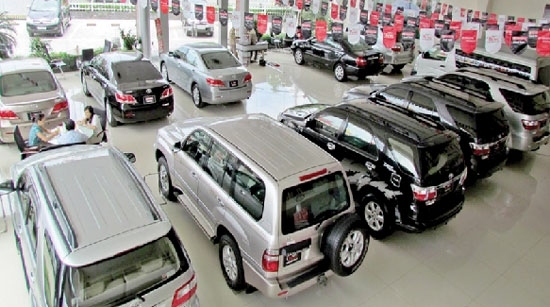 In particular, Vietnam spent US$165 million to import more than 7,000 cars in January. 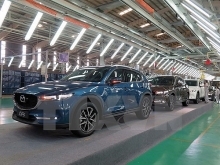 The demand for new cars rose significantly before the Tet (Lunar New Year) festival in late January, explaining the spike in December car purchases compared with the lower January figures. The majority of imported cars into Vietnam in January were nine-seats and less. According to auto agents, the drop in the import tax will translate into consumer prices lower by US$500-1,000 for each car. 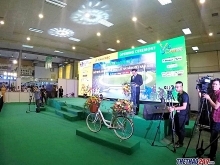 For example, on February 6, Toyota Vietnam announced a price drop of VND44-210 million a vehicle. Although car prices may see a slight drop this year, significant price reductions are not expected before 2018, when import taxes are scrapped altogether in accordance with the 2016-2018 ASEAN Trade in Goods Agreement. In addition, the special consumption tax for vehicles with engine cylinder capacity of 1,500cc to below 2,000cc will also decline, heralding a price drop of 25-40 percent. With import taxes removed by 2018 for ASEAN members, cars imported from Thailand will be cheaper than locally assembled cars because the import tariff on car parts is subject to 10 to 30 percent. Tran Ba Duong, board chairman of Truong Hai Auto Corporation, says it would be difficult for locally-assembled cars to compete with imported units by 2018. Therefore, the state needs to adopt appropriate policies allowing local automakers to compete. Local automakers need to develop specific business strategies to ensure their sustainability. Assembling some key models and importing the remaining are seen as possible solutions.